It’s no wonder people view Hawaii as a tropical oasis. With gorgeous sandy beaches, vibrant coral reefs, majestic volcanoes and lush national parks, this stunning destination is perfect in every way. Our handpicked selection of 5 star hotels in Hawaii provide the perfect base to explore the natural wonders offered by this magical archipelago. There’s certainly no need to Photoshop your pictures on luxury holidays in Hawaii. The islands dotted across the Pacific Ocean offer an abundance of breathtaking natural beauty. Take in the brilliant sunsets and sunrises on Maui from the Haleakalā volcano. Swim in idyllic waterfall pools and top up your tan on sun-kissed beaches. The enjoyment of nature is part of Hawaiian culture and you’ll see the traditional values embedded in everything the locals do. Immerse yourself in the laid-back island life and take a hike to see the age-old lava flows and traverse the sea cliffs for spectacular views. Another popular outdoor activity is horse riding with Hawaii’s cowboys, also known as paniolo. If you’re keen to take part in water-based activities, there are plenty of opportunities for swimming, surfing and fishing in the blue waters. For a thrilling experience, go diving or snorkeling for the chance to see sea turtles and manta rays. Kayak to a remote island for a real castaway experience or go for a spot of whale watching on a boat cruise. No trip to Hawaii would be complete without soaking up the stunning scenery at one of the national parks or state parks. Each one has its own unique landscapes and wildlife. Take a trip to the Hawaii Volcanoes National Park for jaw-dropping sights, or be inspired and moved by the captivating scenery in Kalaupapa National Historical Park on the island of Molokai. Hawaii’s islands are also known for their rich heritage. The archipelago has a multi-layered culture, with Polynesians mingling with the descendants of past travellers from Europe, America and Asia. Conflict between cultures is unknown and there’s a strong sense of harmony between the islands. The many festivals and ancient arts keep old traditions at the forefront of everyday life. Above all, life here is easy-going, casual and full of fun. 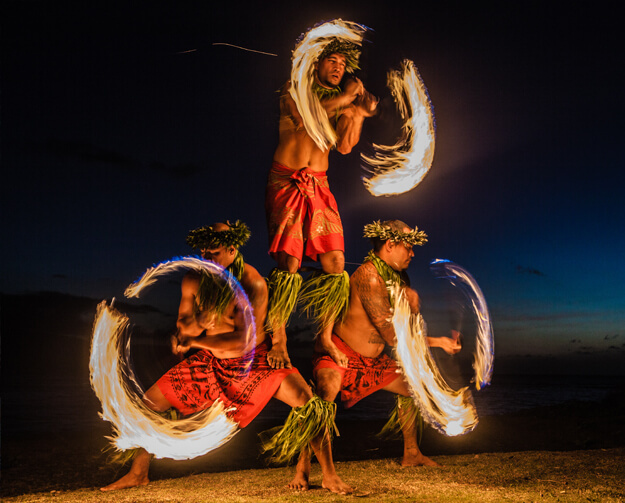 Take the time to get involved in Hawaii’s vibrant culture, whether it’s by donning a traditional aloha shirt, listening to ukulele music or hula dancing the night away. The locals will welcome you with a warm ‘aloha’, whether you’re lovestruck honeymooners, a solo adventurer or a family with children. At Azure, we provide a selection of luxury hotels in Hawaii that offer visitors an amazing experience and exceptional customer service. Our expert team are ready and waiting to help you create your perfect holiday package. If you want to learn more about our Hawaii holidays, please don’t hesitate to get in touch with our friendly and helpful team by phone or live chat today. We’re dedicated to delivering a holiday that will delight you from start to finish, leaving you with cherished memories that will last forever.